Bangkok Companies has built up over the years a comprehensive contact database of Thai Chemicals companies, Thailand Chemicals companies and foreign owned Chemicals companies in Thailand. 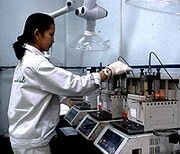 Some chemicals are imported into Thailand however most of the basic chemicals used in industry are manufactured domestically. So there is still scope for foreign chemical manufacturers to export their products directly to Thai manufacturers or to use agents and trading companies as local distributors. 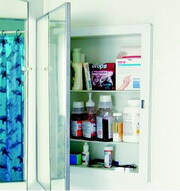 Many of these raw and processed chemicals and the products they are used in are available for export. 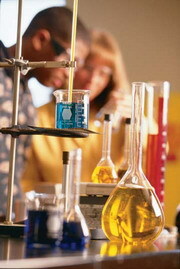 Thailand is also a major importer of chemical products. If you want to import into Thailand we can help you find the right trading company or distributor to meet your needs. Bangkok Companies is a full service product sourcing company in Thailand. For your chemicals needs please email bangkokcompanies@gmail.com with your requests. Below you will find some of the Chemicals product Companies in the Ultimate Thailand Database. If you want a complete database in electronic format or want to source your chemicals from Thailand Chemical Manufacturers then please contact bangkokcompanies@gmail.com . Company A.C. INTER CHEMICAL CO, LTD.
Company A.F. GOODRICH CHEMICALS CO, LTD. Profile Providing a broad range of AIG products and services to clients in the oil, gas, petrochemical, mining and power generation industries worldwide. Company A.K. PACK AND MACHINERY CO, LTD.
Company A.O. Chemicals Co, Ltd.
Company A.P. 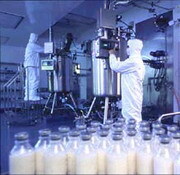 CHEMICAL (1993) CO., LTD.
Company A.r.s. Chemical (Thailand) Co, Ltd.
Company ABILITY INDUSTRY CO, LTD. Profile Capital : 10 MB. Company ACT (THAILAND) CO, LTD.
Company ACTOCHEM (THAI) INDUSTRIES CO., LTD. Address 24/3 Soi Romsai Moo 5. Company ADVANCE PAINT & CHEMICAL (THAILAND) LTD.
Company ADVANCE POLYMERS & CHEMICALS CO, LTD.
LATEX EMULSION FOR PAINTS, TEXTILES 6,000 MT/YR. Company ADVANCE PRODUCT MARKETING LTD., PART. 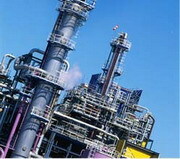 Company ADVANCED CHEMICAL ENGINEERING CO.,LTD. 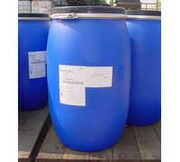 Company Aero Fluid Co, Ltd.
Company AESTHETIC PLUS CO., LTD.
Company AG-GRO (THAILAND) CO, LTD.
Company AGRO CHEMICAL INDUSTRY CO., LTD.
Company AIDA PACIFIC CO., LTD.
Company AIR CHEMICALS CO, LTD.
Company Ak Thai Chemi Co, Ltd.
Akzo Nobel Coatings Thailand manufactures and sells coatings for the furniture, structural steel, industrial, oil and marine paint markets. Company ALCOTT & CO., LTD.
Company ALFA CHEMICAL AND TECHNOLOGY CO., LTD.
Company ALGEBRA CORPORATION CO., LTD.
Company ALIAGE CHEMICOSMIC LTD., PART. Company ALL MIXED INDUSTRIAL CO., LTD.
Company ALON SIAM CO, LTD.
Company ALPHA THAI MINERALS CO, LTD.
Company Amaco Petroleum Co, Ltd.
Company AMALTA CHEMICAL CO, LTD. Profile Activities Agents and distributors of telecommunication equipment and instruments, petrochemical equipment, systems and plants, industrial and textile machinery, raw cotton; exporting textile products. Company AMPELITE MANUFACTURING CO., LTD.
Company AMPOLENE (THAILAND) CO., LTD.
Company AMPORN KARNCHANG CO, LTD.
Company ANAND VISHAL INTERNATIONAL (THAILAND)CO.,LTD. Company Anti-Fire Industry Co., Ltd.
Company AOM YAI SIRICHAI (1991) CO., LTD.
Company APEC FILM CO., LTD.
Company Apollo (Thailand) Co, Ltd.
Company APPLE FILM CO, LTD. Profile Manufacturer of Plastic Bag & Cover Film. Company APPLIED CHEMICAL INDUSTRIES CO., LTD.
Company APPLIEDCHEM (THAILAND) CO, LTD.
Company AQUA CHEME CO, LTD.
Company AQUA COOLER INTERNATIONAL CO., LTD.
Company ARAKAWA CHEMICAL (THAILAND) LTD.
Company ARCON PLASTIC INDUSTRY CO., LTD.
Company Armstrong Rubber & Chemical Products Co, Ltd. Profile We are a well-established ISO 9002 certified subsidiary company of Armstrong Industrial Coporatiion Group (Singkapore), manufacturing high persormance precision die-cut and rubber moulded parts for a wide reange if industrial applications. 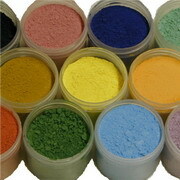 Company ART CHEMICAL (THAILAND) CO., LTD..
Company Asada Chemical Co., Ltd.
Company ASAWIN SUPERMAN LTD., PART. Company ASCERAM AC LTD., PART. Company ASIA AMRO INDUSTRY CO., LTD.
Company ASIA CHEMICAL FERTILIZER INDUSTRIAL CO., LTD.
Company ASIA DRUG & CHEMICAL, LTD.PART. Company ASIA FLUOROPOLYMER CO., LTD.
Company ASIA PACIFIC CHEMICALS CO., LTD.
Company ASIA PAIBOON WONG CO., LTD.
Company ASIA PAINT AND CHEMICALS CO., LTD.
Company ASIA PLASTICS INDUSTRY (1983) CO., LTD.
Company ASIA POLYMER INDUSTRIAL CO., LTD.
Company Asia Shellac Ltd., Part. Company ASIA SOLVENT CO., LTD.
Company ASIAN CHEMFIN CO., LTD.
Company ASIAN CHEMICALS & ENGINEERING CO, LTD.
Company ASIAN MINERAL RESOURCES CO, LTD.